The velocity of light in vacuo is the same in all c.s. (coordinate systems) moving uniformly, relative to each other. All laws of nature are the same in all c.s. moving uniformly, relative to each other. The relativity theory begins with these two assumptions. From now on we shall not use the classical transformation because we know that it contradicts our assumptions. It is essential here, as always in science, to rid ourselves of deep-rooted, often uncritically repeated, prejudices. Since we have seen that changes in (1) and (2) lead to contradiction with experiment, we must have the courage to state their validity clearly and to attack the one possibly weak point, the way in which positions and velocities are transformed from one c.s. to another. It is our intention to draw conclusions from (1) and (2), see where and how these assumptions contradict the classical transformation, and find the physical meaning of the results obtained. The following are my comments on the assumptions above. The terminology used in these comments is described under THE DISTURBANCE HYPOTHESIS below. The disturbance level of light is many orders of magnitude lower than the disturbance level of matter in an “ether-centric” view. Therefore, the velocity of light in ether is so much greater than the velocity of matter that it would appear to be the same in all coordinate system moving uniformly in a “matter-centric” view. All coordinate systems moving uniformly, relative to each other in a “matter-centric” view would essentially be coordinate systems with uniform disturbance levels in an “ether-centric” view. The Disturbance hypothesis views visible light as a disturbance in a medium. This medium is not made of any substance, and the undisturbed medium has no inertia. The basic medium may best be described as a theoretical inertia-less field that acquires inertia as it is disturbed. We may refer to this field by the historical term, ether. This ether acquires inertia when it is disturbed. The velocity of disturbance in turn is determined by the induced inertia. The inertia is a function of the level of disturbance. The higher is the disturbance level, the greater is the inertia induced, and the slower is the velocity of the disturbance. The Disturbance hypothesis describes disturbance levels on the basis of a doubling of the amount of disturbance. The basic disturbance level is denoted as DL0, and defined as 20 in basic unit of disturbance. The subsequent disturbance levels are denoted as DL1 (21 units), DL2 (22 units), DL3 (23 units), etc. The nth disturbance level may be denoted as DLn (2n units). The basic unit of disturbance may be identified as Hertz for the time being, but a clarification is needed based on the very concepts of time and space. Based on the frequency of visible light, the disturbance level of visible light may be approximated at DL49. The Disturbance hypothesis views matter as a disturbance of very high inertia. The de Broglie frequency of earth is about 1072. This corresponds to a disturbance level of DL239. A kg of mass on earth will have a disturbance level of DL153. These values are very approximate, but they provide the orders of magnitude involved accurately enough. Note that higher are the disturbance levels, the higher would be inertia, and the slower would be the speed of disturbance through ether. These rough estimates show that the speed of matter through ether is so slow compared to the velocity of light that it would be literally impossible to detect. A change in the velocity of a material body is accompanied by a change in its momentum, and, thus, a change in its inertia. Uniform velocity in a “matter-centric” view may translate to uniform inertia in an “ether-centric” view. Thus, coordinate systems moving uniformly in one system shall be replaced by coordinate systems that are uniform in terms of their disturbance levels. It appears that our feel of space and time is probably unique to our “matter-centric” view of the universe. In an “ether-centric” view one may find space and time to be variable in their inherent characteristics. 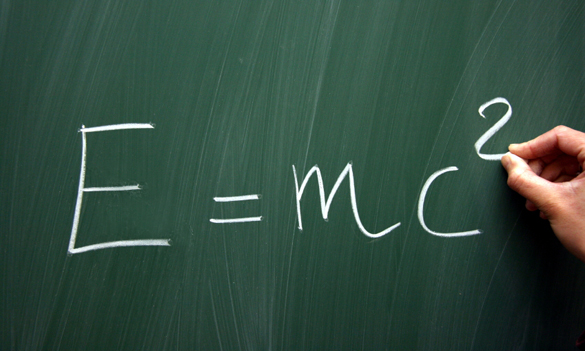 Einstein Theory of Relativity seems to spring from a “matter-centric” view of the universe. On the other hand, the Disturbance Hypothesis is based on an “ether-centric” approach, which may provide us with a broader view of the universe. Let’s go through this section of the book without skipping and comment on it. Here are the next few paragraphs. The inside observer: The light signal travelling from the centre of the room will reach the walls simultaneously, since all the walls are equally distant from the light source and the velocity of light is the same in all directions. The outside observer: In my system, the velocity of light is exactly the same as in that of the observer moving with the room. It does not matter to me whether or not the light source moves in my c.s. since its motion does not influence the velocity of light. What I see is a light signal travelling with a standard speed, the same in all directions. One of the walls is trying to escape from and the opposite wall to approach the light signal. Therefore, the escaping wall will be met by the signal a little later than the approaching one. Although the difference will be very slight if the velocity of the room is small compared with that of light, the light signal will nevertheless not meet these two opposite walls, which are perpendicular to the direction of the motion, quite simultaneously. In this thought experiment, the outside observer is at DL0, which is an inertia-less coordinate system. The inside observer is at, say DL150, which is a coordinate system very high on inertia scale. This is also the coordinate system of the source of light. Light itself is at DL50, which is a coordinate system at the low end of the inertia scale. The higher is the disturbance on the inertia scale the lower is its velocity. The velocity of the source of light (VS) is many orders of magnitudes (maybe 2100) slower than the speed of light (VL), relative to ether. Therefore, the contribution of the speed of source to the speed of light is virtually undetectable. To the inside observer at DL150, velocity of the source of light (VS) is zero, and the velocity of light (VL) shall appear to be same in all directions. To the outside observer at DL0, velocity of the source of light (VS) is extremely small but not zero. To him, the velocity of light shall appear to be (VL + VS) in the forward direction and (VL – VS) in the opposite direction, but the difference would be barely detectable. Einstein seems to be correct in observing that the light signal will not meet these two opposite walls quite simultaneously. Please note that at DL0, there is no inertia, space, time, velocity, etc. It is a totally clean slate. With disturbance comes inertia, space, time, velocity, etc. These seem to be different aspects of the same phenomenon. There shall be physical aspects as well as metaphysical. So, at DL0, the metaphyical aspets, such as, manifestation, awareness, consciousness, perception, etc. shall be absent too. In this model, we are in search of what is being disturbed? No. We are in search of more precise relationships in this universe.